Aquatic macrophytes are commonly used as the basis for assessing the ecological condition of wetlands and rivers and are considered the basis for some of the best indicators of these ecosystems within their landscape. 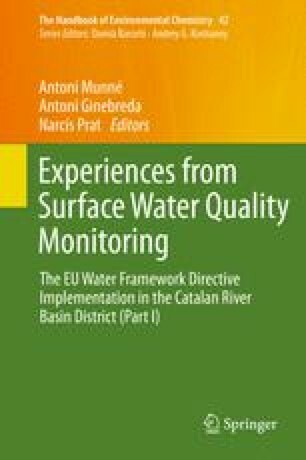 We review key approaches that utilize plant traits as the basis for water resource assessment, including the floristic quality assessment index (FQAI), the Qualitat del Bosc de Ribera (riparian forest quality index or QBR), indicator species analysis (IndVal), and multimetric indexes of ecological integrity (MMIs). The FQAI quantifies how “conservative” a plant species is by evaluating the degree to which it is adapted to a specific set of environmental conditions and then uses that information to assess plant community response by examining the aggregate degree of “conservatism” for all species in a community. The index codifies expert opinion a priori on the ecological nature and tolerance of macrophyte species and has been shown to be sensitive to human activities. Plant traits can also form the basis for assessment using indicator species analysis (IndVal), which allows the environmental preferences of target species to be identified and related to habitat type, site characteristics, environmental change, or gradients of human disturbance. We applied this technique to identify indicator species for river ecosystems in Catalonia. Finally, assessment approaches based on multiple plant-based metrics are illustrated. Species traits used in multimetric indexes (MMIs) are based on testable hypotheses about how plant communities change along human disturbance gradients. These approaches and their application to Catalan and US wetlands and rivers are explored.